Links 55" Indignia ROKU HDTV & Samsung Tower speak Posted by: Anapap from: Miami, FL on Little by little, I've been able to enjoy superior sound from my Internet ready streaming HDTV with Bluetooth Samsung tower speakers in my man-cave. This 6ft optical cable allows me to place front speakers where I want to place them alongside high end surround sound Weylan Cutler 5.1 home theater speaker system which allows me iPlay placement around the room for my favorite streaming channels for NFL & FIFA sports events, music & movie libraries in the cloud or all of my media storage devices. GREAT VALUE FOR THE PRICE!!! No problem, works great Posted by: Ted0 from: on A cable like this is difficult to review because it either works or it doesn't. Given this, I usually go by price and this is an inexpensive cable and it works great. I've been using for a couple months and no problems. typical cable Posted by: Mouse from: on I haven't had any problems with this item, but it's just a typical optical cable. 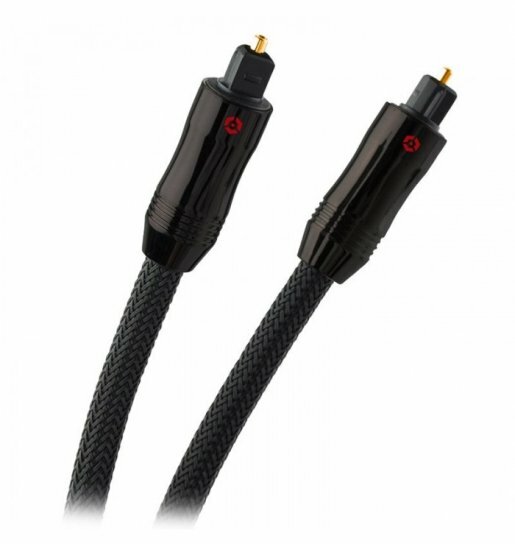 Great product Posted by: Ryan from: on Good quality optical audio cable! Used it with my tv and surround sound and works really good Quality at Great Price Posted by: EdHo from: on I bought this cable to connect a soundbar to a tv. Does exactly what other more expensive cables do for way less price tag. You can pay more for other cables, but why would you... Great! Posted by: philsfinest30 from: Lancaster, CA on I love insignia products! They work very well and do what they're supposed to! Great purchase Posted by: Angel from: on Person who set my TV up recommended this - Quinton Hancock helped me with the one to purchase!!! Would definitely buy this again!!! Works so much better than the recommended HDMI CABLES we used with our previously purchased TV that was stolen. Great Quality Posted by: Rushhead2112 from: on Great quality and easy to install. The cord is easy to tuck behind other equipment. Good cable. Posted by: Asta from: on This cable works fine as it replaced an original equipment Bose cable.